Is the Government to blame for A&E crisis? Britain is currently experiencing an A&E crisis, the worst in a almost a decade. But the crisis could have been averted already two years ago if only the Government had acted on the warnings of a threatening collapse due to under-staffing in casualty wards. Ministers have taken turns in blaming the increased pressures on Britain's ageing population, the changes to GP out-of-hours care, or even denying a crisis altogether. Truth is that the Government has ignored the first warnings of an imminent crisis due to the NHS failing to recruit enough new A&E doctors. Dr Clifford Mann, President of the College of Emergency Medicine and the country's top emergency doctor has quite clearly spoken his mind out in an exclusive interview with The Independent yesterday. Dr Mann said that ministers and health chiefs were unable to act on the challenges of implementing the Coalition's health reforms from 2011 onwards. This caused a "decision-making paralysis" throughout the NHS for 18 months, with Government's reforms finally implemented only in April 2013. 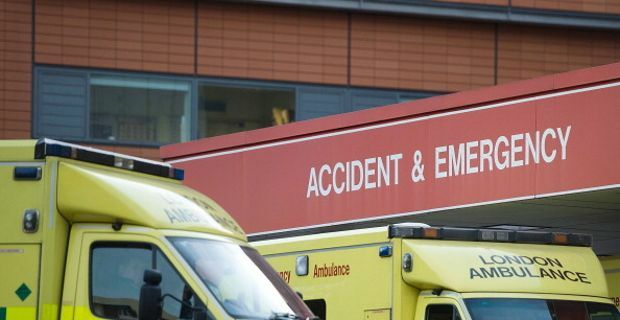 Despite a new recruitment drive for A&E doctors now under way, Dr Mann told The Independent that during such 'paralysis' the country fell short of around 375 emergency doctors, which in practical terms translates in "750,000 patients per year who aren't going to be seen". In regards of these 375 missing emergency doctors, Dr Mann added: “They're never going to exist, we've lost that opportunity. It takes four years to train and you can't just be parachuted into the fourth year." This is quite sad and scary. Casualty wards up and down the country are under intense pressure, especially during the when seasonal illnesses hit their hardest. We can only imagine all the hard working A&E staff doing their best and more in a bid to keep up with demand. And this is exactly where outrage and disappointment kicks in: according to Dr Mann, in fact, concerns about emergency wards under-staffing were raised early enough to deal with the problem in an appropriate manner. But that chance was missed, and Britons are left to deal with consequences.